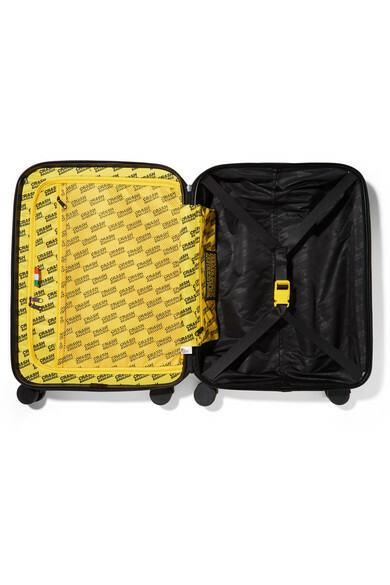 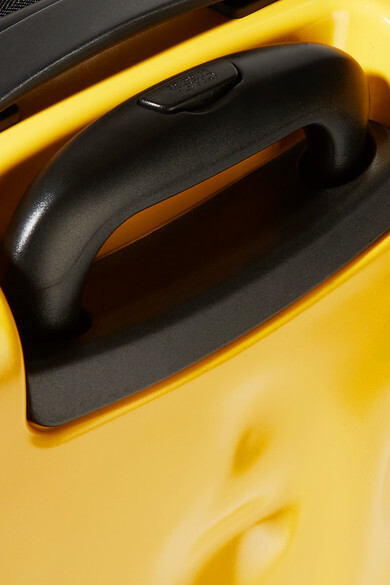 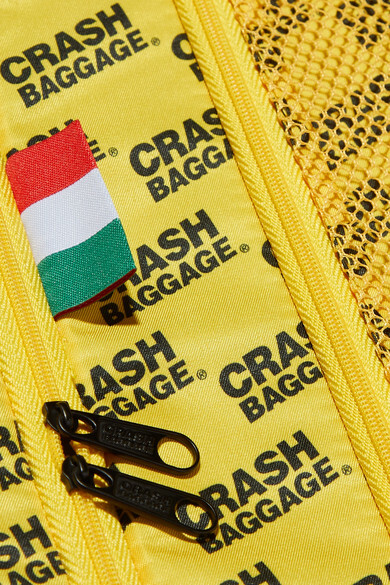 Crash Baggage's suitcases come purposely dented to look like they've taken a few hard knocks. 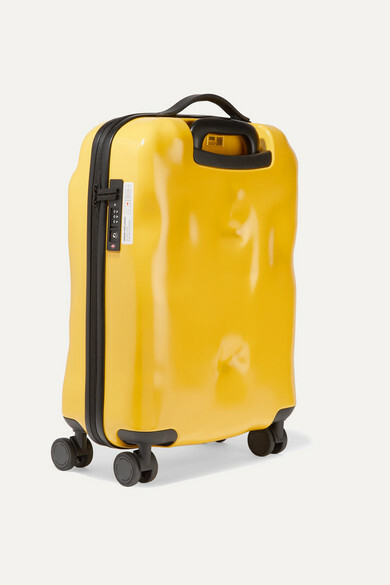 It's made from durable, lightweight hardshell in a mustard shade that's easy to spot on the carousel and set on four 360-degree wheels for easy navigation. 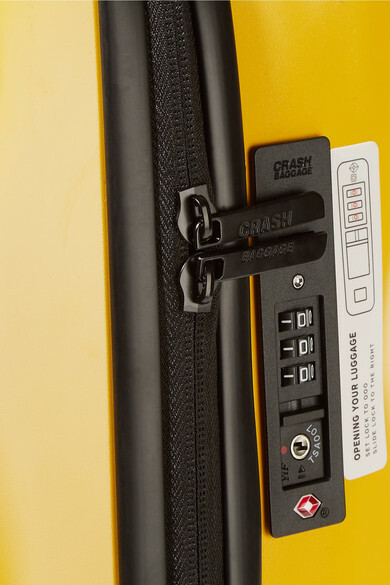 The interior zipped pockets and TSA-approved lock will keep belongings organized and secure. 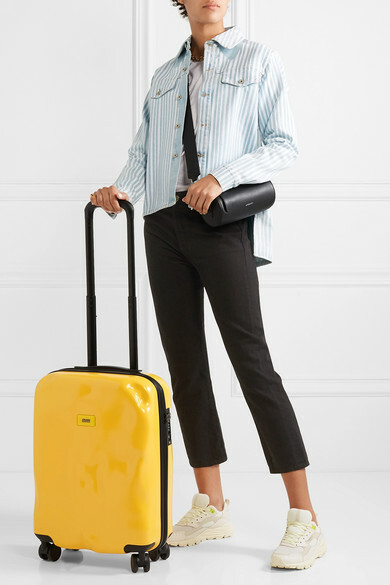 Shown here with: Off-White Shirt, Handvaerk T-shirt, Goldsign Jeans, Brandblack Sneakers, Burberry Shoulder bag, Tohum Bracelet, Isabel Marant Bracelet, Chloé Ring.